Mr. Ashdown received his Registered Home Inspector (RHI) with the Ontario Association of Home Inspectors (OAHI) and is a former Board Director, Vice President and Secretary, of the Provincial Association of Home Inspectors (PACHI) who in November 2001 merged with the Ontario Association of Home Inspectors (OAHI). OAHI is the provincial counter part of the Canadian Association of Home & Property Inspectors (CAHPI). Mr. Ashdown received the President’s award from OAHI, and sat on the Discipline & Professional Practices Committee along with other committees while a member. Mr. Ashdown received Certified Full Membership status with the American Society of Home Inspectors (ASHI), and a past member of the largest and most respected professional association for home inspectors in North America. Mr. Ashdown obtained his Certified Environmental Inspector (CEI) and Certified Environmental Specialist (CES) with the Environmental Assessment Association (EAA), and a past member of the largest and most widely recognized association of Environmental Inspectors in the world. 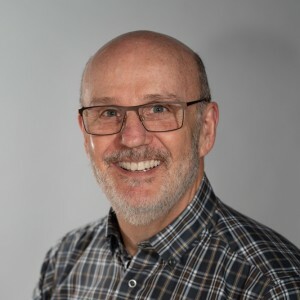 Mr. Ashdown is a “founding father” of the CMHC led initiative on “Charting the Future of the Home Inspection Profession in Canada” and continues to provide insight and assistance to this ongoing initiative. Mr. Ashdown is a graduate of the University of Waterloo. Residential & Commercial Building Inspections – structural & mechanical inspections for home, building & property owners, purchasers, lessees, realtors, lawyers, lending institutions, mortgage brokers, insurance brokers / agents, property managers, builders & designers. Environmental Inspections & Testing – mould, asbestos, lead, radon, air quality, chemical / biological contaminants, environmental site assessments, electromagnetic fields (EMF) inspections & testing for homes, building & property owners, purchasers, lessees, health & safety committees, employers with offices, manufacturing or warehousing space, builders & designers, lending institutions, the medically fragile, health care professionals, the environmentally concerned.